The Premier League team topped their league table on actual goal difference against the toughest teams from across the South East. They also won their England Hockey Tier 1 Cup competition by scoring 50 goals in four matches and letting in none, came through the Tier 2 competition with three more wins (scoring 12, letting in 1), and then won bronze medals at the National Finals. They also came 2nd in Barcelona 2014. 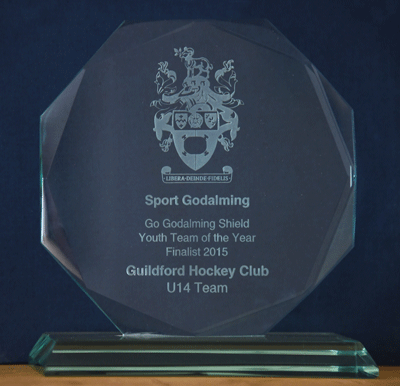 A terrific season and they were awarded runners-up for the Godalming Sport Youth Team of the Year. 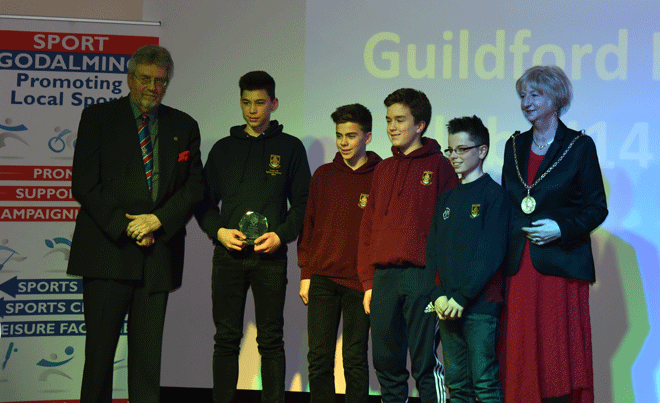 The Awards ceremony was held last Friday in the newly refurbished Wilfrid Noyce Community Centre in Godalming.